FeastHome – Inasmuch as you are paying a close attention to improving the view of your home with curb appeal, you shouldn’t neglect your kitchen. Perhaps you have spent some money in renovating your home to giving it that special state; you can personally improve the outlook of your old kitchen without exceeding your budget. As a matter of fact, you can decide the pattern in which the look of your kitchen can take by using these tips, which are explained below. Perhaps your kitchen theme isn’t impressive; you can pick a new theme in order to give your kitchen that looks that has been lost after a long while. Interestingly, there are a variety of items in which you can pick inspiration from to create an appealing theme for your kitchen. As a matter of fact, all the things you need to change the order of your kitchen are available to you. Just sit and relax with a pen to paper to think of how you can make things work with what you have. 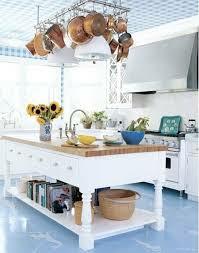 Changing the outlook of your old kitchen may not necessarily begin with replacing old utensil. What you actually need to do is change your approach to how your kitchen is being managed. 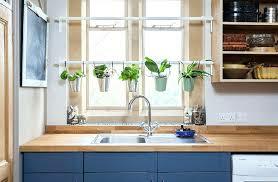 Providing a rack, either wooden or metal, can provide some form of tidiness for your kitchen. You don’t have to place your apron on the gas cooker when you can hang them on a rack. 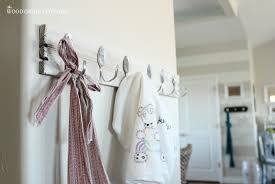 A rack help give a new look to your kitchen because other kitchen cotton materials can be placed on them. You can get an unused vase, fill it up with soil and pluck some herbs to create a new herb garden for your kitchen window. With this approach, you are set on adding a natural dimension to your kitchen by neutralizing the amount of carbon dioxide present in the air. After all, you shouldn’t always make your kitchen an uncomfortable place to stay. If you don’t have enough funds to change the flooring of your kitchen with a new set of tiles or other types of flooring materials, you can opt for painting. In this aspect, you can determine the type of design you want to adopt for giving your kitchen a new look. On the other hand, if you have the capacity to change your kitchen floor, you can opt for artistic tiles or a wooden type of floor to give a new perception to the appearance of your kitchen. There are unoccupied spaces in your kitchen which you can assist you with creating that theme-styled kitchen you have been thinking of. After sighting a coffee space in your kitchen, you can set up a small cabinet which will be used to house all the coffee accessories that can help you create a nice mini Café in your kitchen. Everyone can be treated to a cup of coffee any time of the day with your new coffee spot. You cannot stop the adverse effect of water on wooden cabinets in your kitchen. As long as water keeps getting into those wood cabinets, you need to be preparing another income to get another. However, you can prevent the devastating use of water in the kitchen by setting up tiles as a form of backsplash for preventing the wooden cabinet from excess exposure to water splash. Water splashing is an inevitable activity in the kitchen. So, you need to adopt some form of preventive measures to preserve the lifespan of items in your kitchen. Perhaps, there is a wall in your kitchen that has not been occupied. You can consider chalkboard paint to give your kitchen a new look. The chalkboard paint makes your kitchen an engaging place for your children to write down food recipes, diet schedule, and shopping lists. At a point, you can expect your cabinet doors to start becoming unfit for your kitchen. Perhaps the locks are no longer functional or the hinges have become problematic, a change is what may be required to not only provide comfort while using your kitchen but also giving your kitchen a better look. If you have numerous portraits hanging around your home, you can select a few and find a spot in which you can place them. The portrait can be a personal picture of you or a sketch design or a painting. You can make your kitchen more alive and look expensive with this approach. You can spark up your kitchen to life by making use of colors that assist with keeping your kitchen illuminated. Your kitchen may have lost some of its appeals because it has been darkened by the nature of the old color, which doesn’t support illumination. As long as you are ready to change the lighting color of your kitchen, you rest assured that your kitchen will become a new haven that is attractive to all guests and visitors. You don’t have to necessarily think of a huge budget to change the appeal of your home, especially your kitchen area. 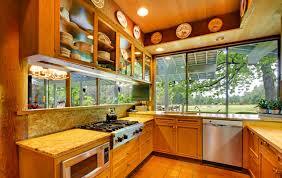 One way in which you can kick-start the process of maintaining a good kitchen is by thinking of a theme.